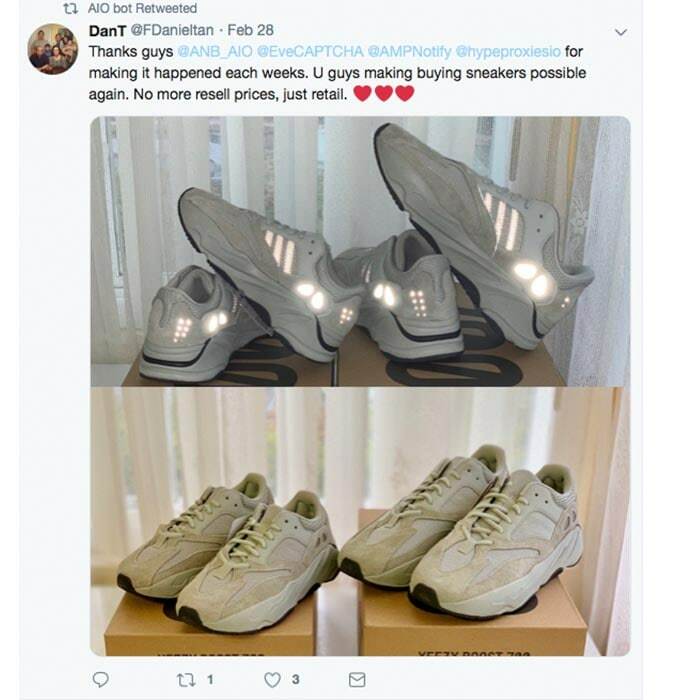 Step up your copping game! 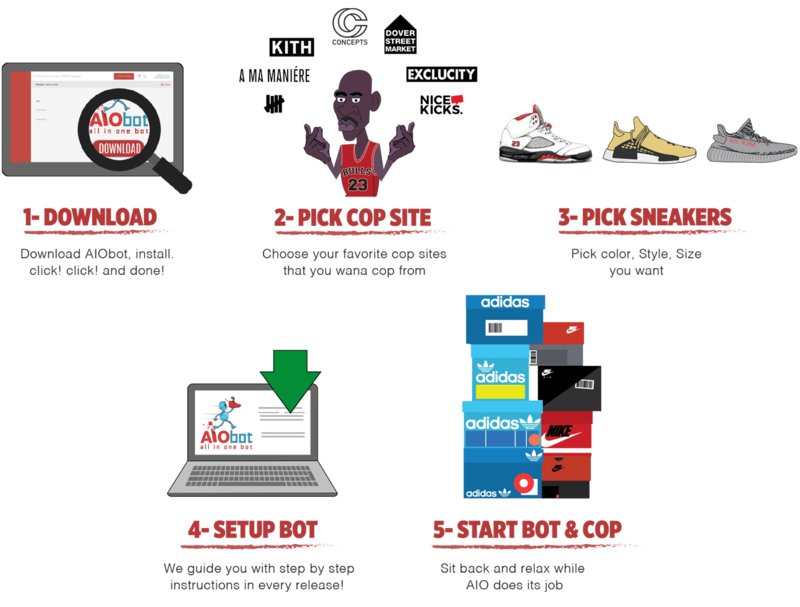 This is AIO Bot, an add to cart program that helps sneaker lovers get limited releases. 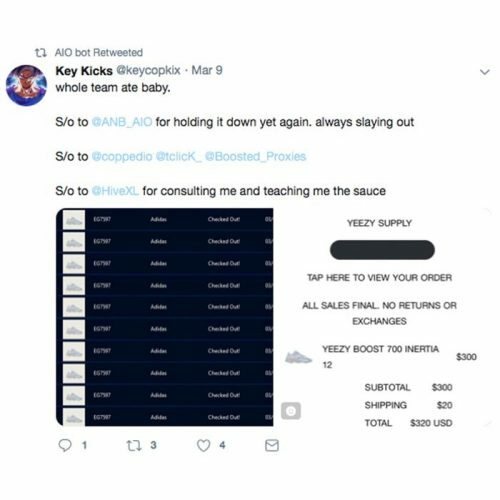 AIO Bot – by the creators of Another Nike Bot – has helped sneakerheads cop over 200,000+ hyped items at retail, check our twitter for proof of success! Over 200,000+ cops of limited release Hyped items and rising daily! Yeezy, NMDs, Jordans, Supreme and more! 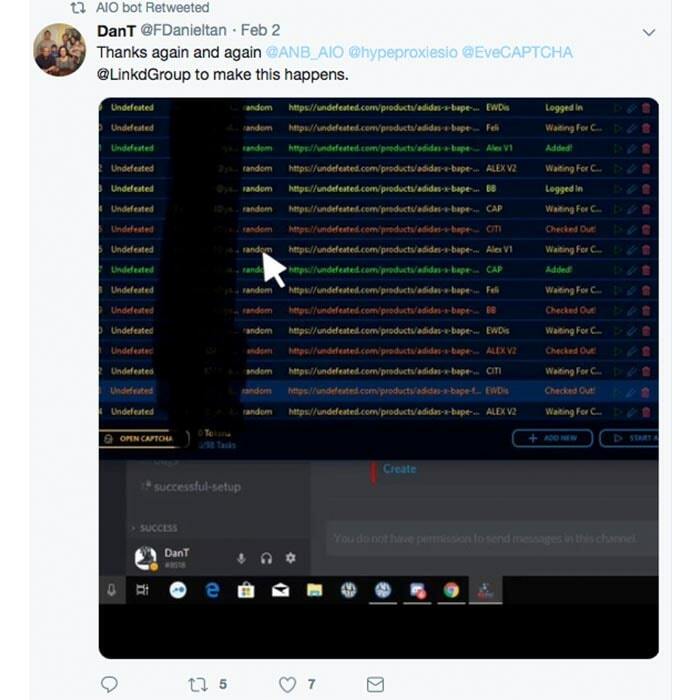 Want proof it works? Check our 10,000+ testimonial shoutouts on twitter of users who’ve coped on hyped releases with AIO! Some sites allow only 1 per customer, we help you cop multiple hyped pairs for your collection or so you can resell! Why pay resale that’s sometimes over 7x retail price? Get that Yeezy Boost 350 at $200 not $1400! 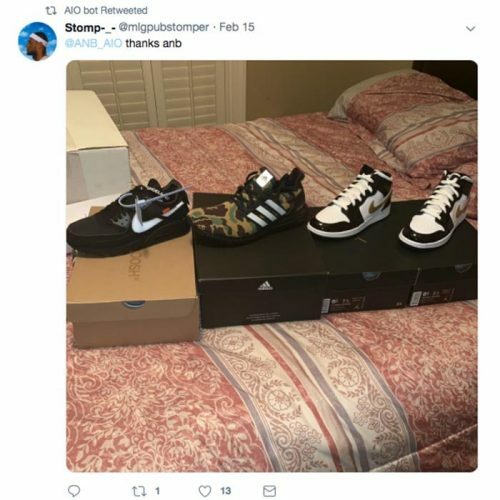 Cop at retail for your collection then feel free to become a reseller yourself! 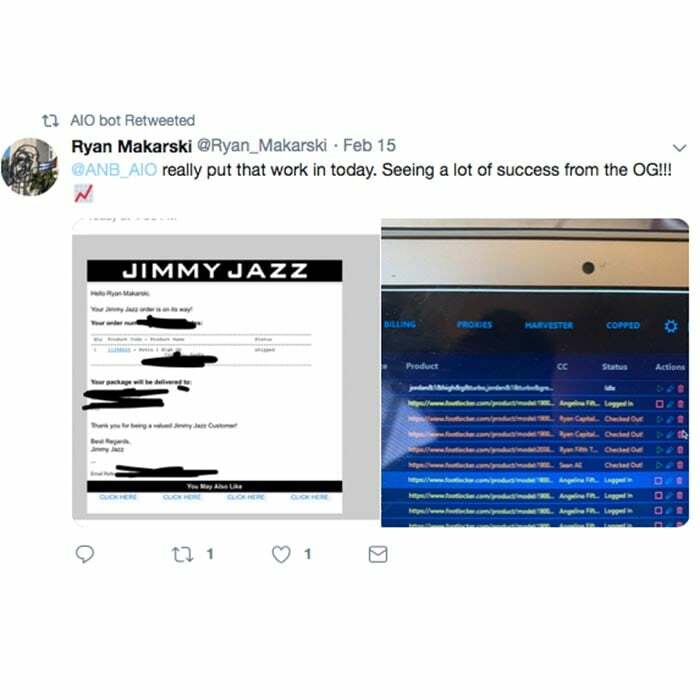 Our 45+ specialists constantly update the AIO sneaker bots for every release to make sure you have the best chances of copping. Need help to make sure you cop? Our support team is always there for you with our 3hr Avg. Support Reply time. The fastest in the industry! 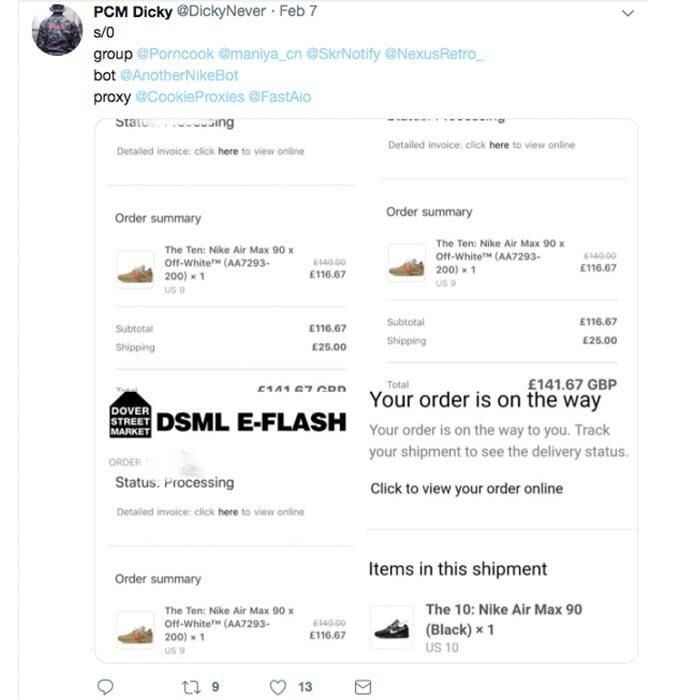 Are you wondering why you need an AIO Bot when you can buy sneakers from a retailer website? The answer is simple – you can’t easily buy from a retailer website. 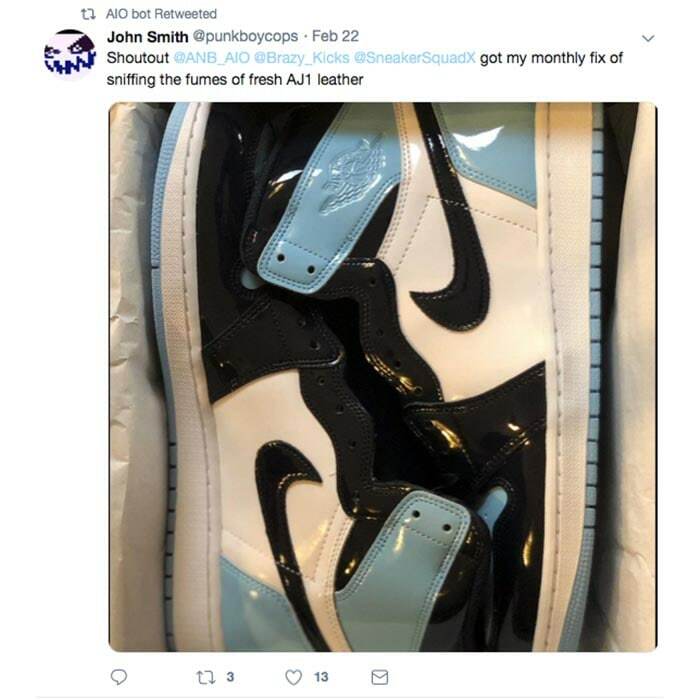 That’s because, on a hot release like the Adidas Yeezy Boost 350 or the Nike Shattered Back Boards, retailer websites will crash. Get AIO Bot and it will buy your shoes for you while you relax. How easy is that? 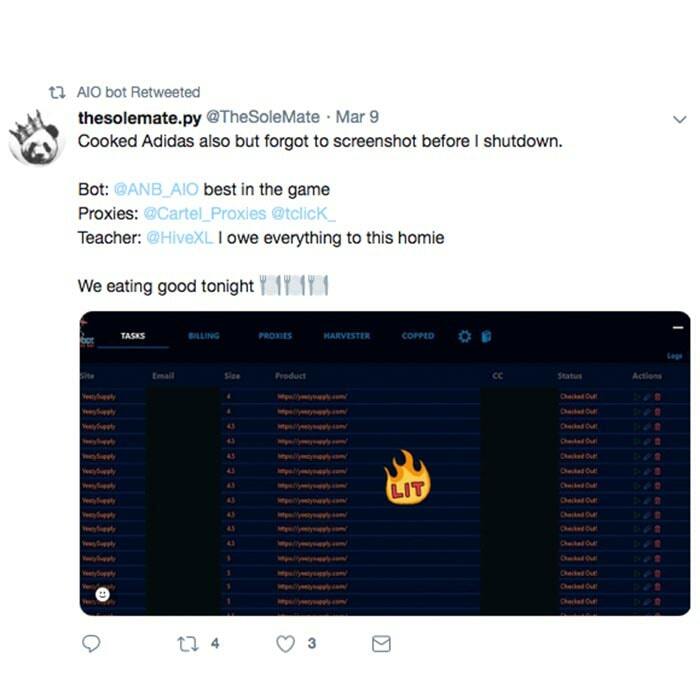 So what does AIO Bot actually do? AIO Bot will add to cart the shoe you want whether it’s a Yeezy Boost 350, a Yeezy Boost 950, or any other limited edition sneaker. AIO Bot will keep trying to checkout until it succeeds, even if the website crashes. AIO Bot notifies you by email or SMS to let you know you’ve copped the shoe. 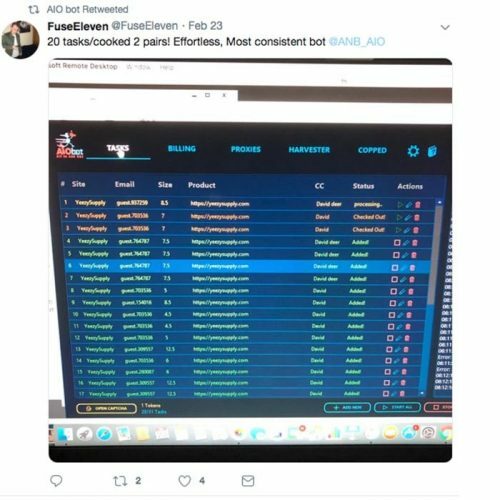 Is AIO Bot for me? 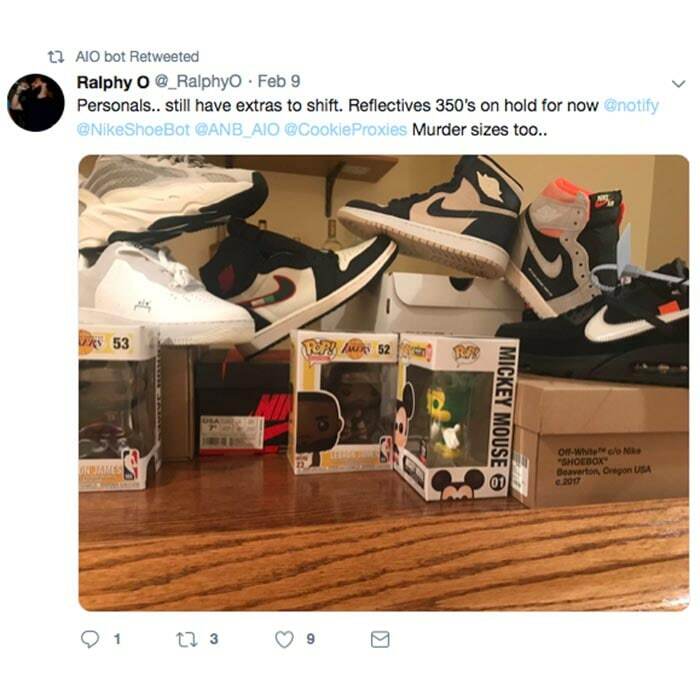 Do you have a sneakers collection? 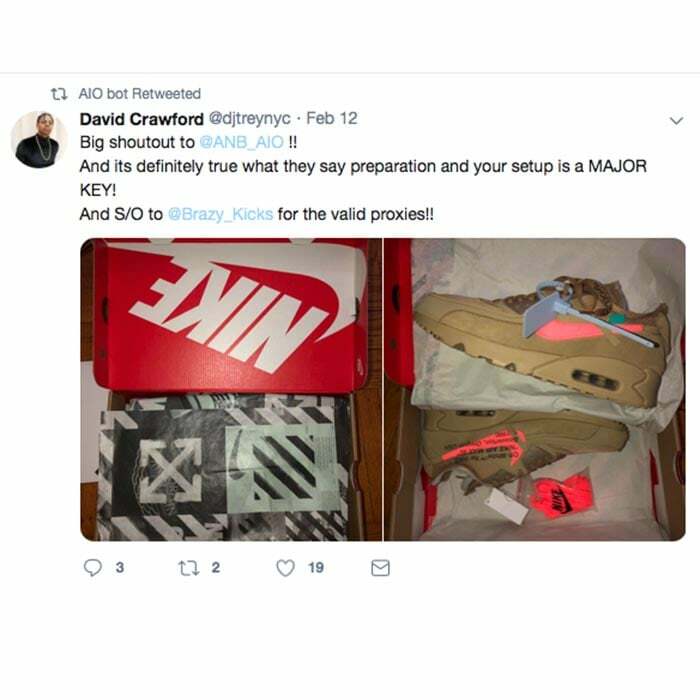 Do you camp online for shoes? 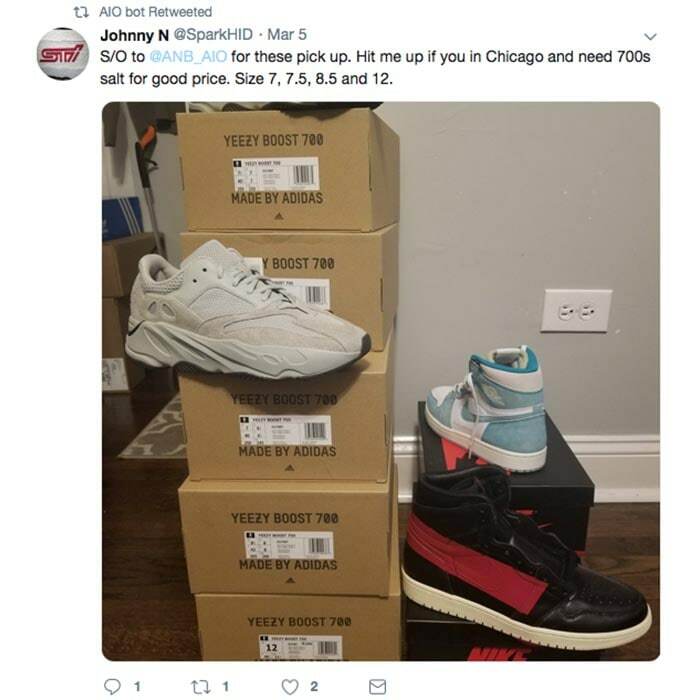 Do you stay up for hours just to get one Yeezy pair or a pair of Jordan shoes? 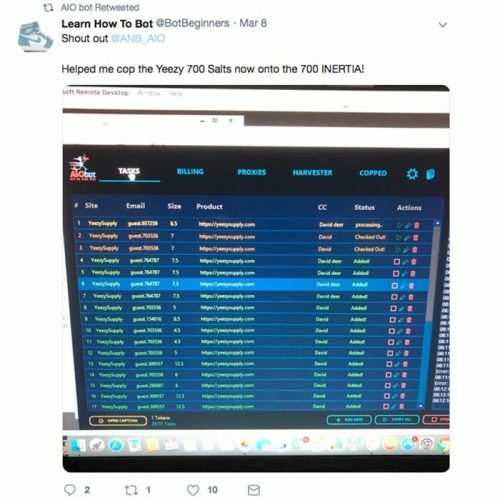 If you answer yes to any of those questions then AIO Bot is definitely for you.